Few people loom over electronic music instruments quite like Ikutaro Kakehashi. As founder of Japanese giant Roland, at Roland’s helm through decades of its most historic creations, and as an engineer, Kakehashi has had a hand in the evolution of electronic music instruments – and particularly the notion of the electronic drum machine – as we now know it. Word is spreading that the maestro, known affectionately to fans simply as “Mr. K,” has died today at the age of 87. It all started with organs. Kakehashi was an engineer first, repairing and later building organs. Like it did for so many of us in this business, that part-time passion evolved into a full-time career. In 1960, he founded Ace Tone, a forerunner to Roland Corporation (which later morphed into Hammond Japan). The consumer synthesizers and drum machines the company would go on to produce could reasonably be considered an outgrowth of the organ – expanding on the range of sounds and rhythms the organ offered, until those had become independent products. 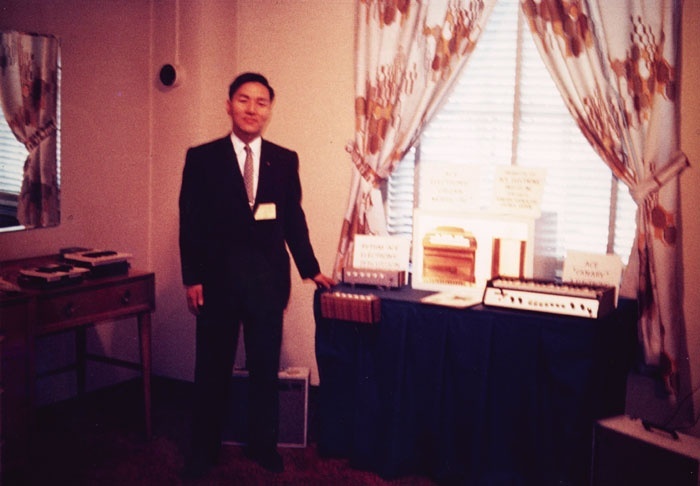 A young Mr. Kakehashi, posing with his original Ace Tone creations. Original source unknown; from this wonderful Sound on Sound history. In Ace Tone, you can see all the DNA of the Roland we know now. 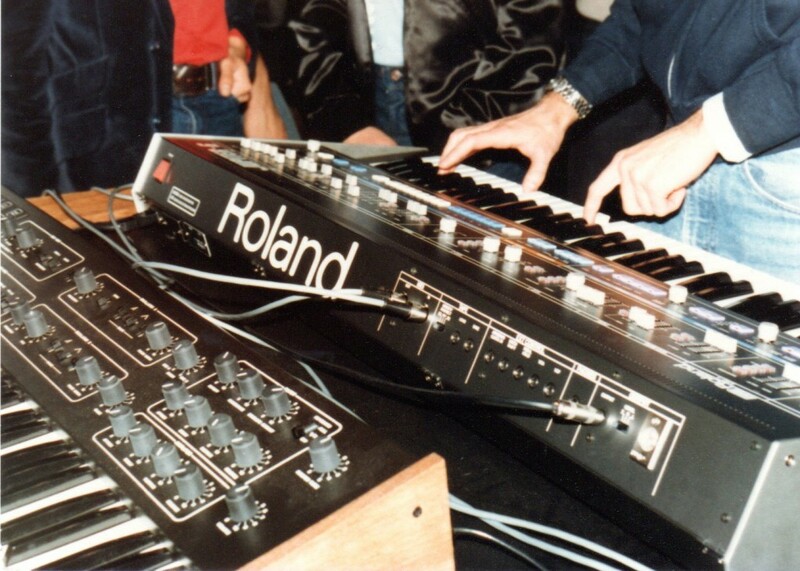 There were organs, synthesizers, drum machines, and effects carrying the Ace Tone name – many regarded as classics, if not as well-known as the Roland devices to come. It’s nothing like the drum machines we use today, but its approach to sound – through simple transistorized oscillators – is an elegant solution to producing drum sounds, one mirrored even in the circuits of something like an 808. The product that implemented that technique, the FR-1, wasn’t so exciting as an interactive instrument. Rhythms were selected with push buttons on the front of the unit. But you did get preset patterns, and the distinctive approach to sounds that marked the Ace Tone / Roland style. There were even dedicated buttons for cymbal, claves, cowbell, and bass drum – an early sign of the 808 and 909 sounds that would shape styles ranging from techno to hip-hop. 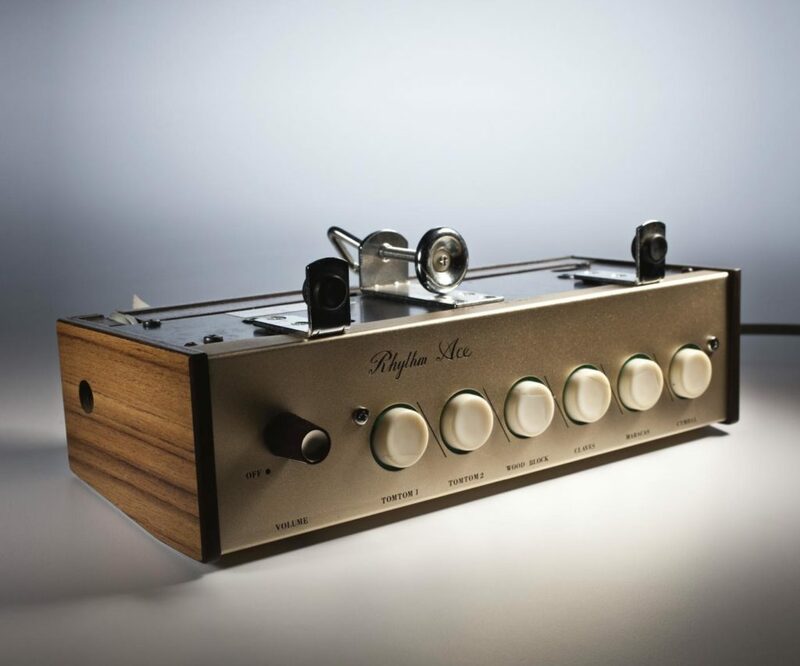 It’s very possible you encountered those same sounds via a Hammond organ or derivative (or clone), because Ace Tone’s sounds were incorporated into the larger global brand. In 1972, Kakehashi went on to found Roland – reportedly by referring to a useful, Western-friendly name he discovered in a phone book. He would run that company from its founding until shifting to an advisory role in 2001; he would not even resign until the year 2013. Perhaps less known, except to those of us who grew up getting introduced to MIDI in the late 80s, Roland established the use of MIDI on the PC with the MPU-401 interface, and created a (sometimes despised) standard for MIDI instrumentation with General MIDI. They even created the first dedicated MIDI controller keyboard. And a whole lot more. NAMM, 83. Kakehashi joined Dave Smith to show a MIDI connection, live, for the first time – between his synth’s and Sequential’s. All of these things are team efforts, and in my experience Japanese engineers are particularly loathe to take individual credit (unlike us brash and sometimes overconfident and overly egoistic Americans, maybe). But I think it’s noteworthy that Kakehashi was a father figure to the company through all these years, and that its vision in that time remained as consistent and forward-looking as it did. Whether he deserves credit for the inventions as an individual, it’s a testament to his legacy that his tenure embodied such profound change in how music is made. And you need leadership at some point to move forward. Kakehashi was gifted in a special way both in seeing the potential of categories like drum machines, and understanding how to build his own business, and the larger industry via standards like MIDI, so that it could grow. I think coming up with ideas is actually pretty easy. Even engineering them usually is possible if you set your mind to it. But creating ideas that grow and spread, that’s another matter. And that’s something Roland and Kakehashi have given to us like few others. And that’s why I can go out and spend a night dancing to sounds either produced directly by his machines or by machines it inspired. And that’s pure magic. That third company is Atelier Vision Corporation, which carries on two threads from Roland. First, it continues to expand the concept of electronic percussion, with its ad5 electronic drums and the inventive aFrame percussion controller. Second, mirroring the legacy of Edirol/Roland Systems Group in video, there are audiovisual products and mixers. And he’s clearly touched a lot of partners in the industry personally, as seen by the outpouring of remembrances on my social media feed. Thank you, Mr. K – and condolences to his family, friends, and the whole Roland family.